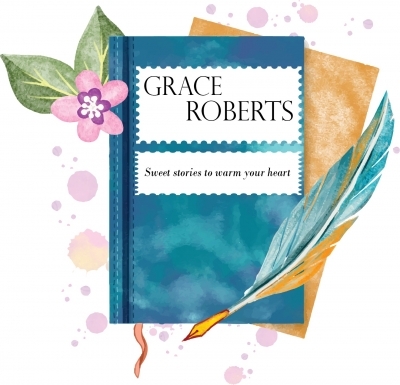 Grace Roberts is an Italian author of heart-warming stories set in Ireland or in small towns in the United States—two places where she’d love to live while writing full-time. She’s also an avid reader who thinks daydreaming should be a paid profession and that the world would be a better place if bookworms ruled it. Visit her website https://authorgraceroberts.com to find all the links to her books and the social media she’s active on, and subscribe to her newsletter to make sure you’re always up-to-date with her new releases, special sales or giveaways. A wealthy city girl. A stubborn cowboy. Get ready for sparks to fly! All Alyssa O’Riordan needs is three weeks away from her wealthy life in New York City, to clear her mind and decide what she wants from her life. A dude ranch in Wyoming seems like the perfect place for a temporary escape from the cage her life has become. For Sean Maclaine, three weeks around the new guest feel like an eternity. After his first-hand experience with the upper class, rich daddy’s girls have become his worst nightmare, so when Alyssa O’Riordan shows up at his family’s ranch, he knows the time won’t go by fast enough. Will three weeks be long enough for them to get over their prejudices and start looking beyond the surface? Valerie Fogarty’s career as a surgeon ended the day she lost her first patient, when guilt made it impossible for her to set foot in an operating room ever again. Even though her career is crumbling, she knows she can count on one constant in her life: her best friend, Ryan. When their worlds collide, something sparks between them, but one minute is all they have before they go their separate ways. They never expected to meet again after that serendipitous encounter, but fate has other plans. Ellie Hawthorne lost her faith in love when trusting the wrong man cost her a job she loved and her respectability both as a woman and a teacher. So when she inherits her grandmother's beach cottage in Spring Harbor, Oregon, she's happy to leave the city and the gossip behind, and finally put down roots—without a man. When Adam moves in next door to Ellie, they're determined to be nothing more than friendly neighbors and safeguard their hearts. But as their lives entangle can they get over their fears and open their hearts to love? Finding a way to heal their hearts seems impossible, until an angelic presence comes into their lives to help them fulfill their destiny. A sweet Christmas romance that will warm your heart all year long. As her stay draws closer to the end and she’s faced with a life-changing decision, they’ll realize this adventurous week has in fact been a trip with Destiny.